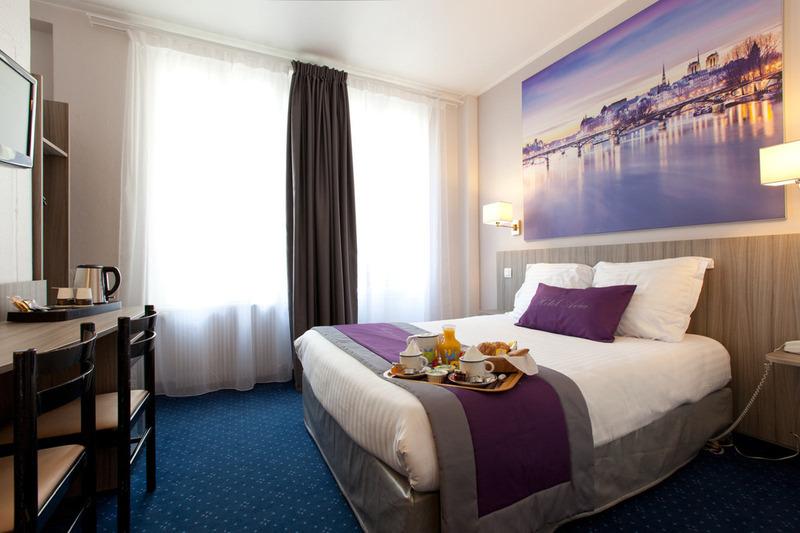 The AVIA hotel has 40 spacious and harmonious rooms of approximately 12 to 17m² ,on 7 floors with elevator, overlooking the Rue de Vaugirard or on the backyard. All have been recently modernized to optimize your comfort: HD LCD TV with satellite package, mini bar (*), desk with hospitality tray (included), phone (*), luggage rack, double glazing, safe and alarm clock. Each has a private bathroom with shower or bath and are equipped with hairdryer and toiletry set. 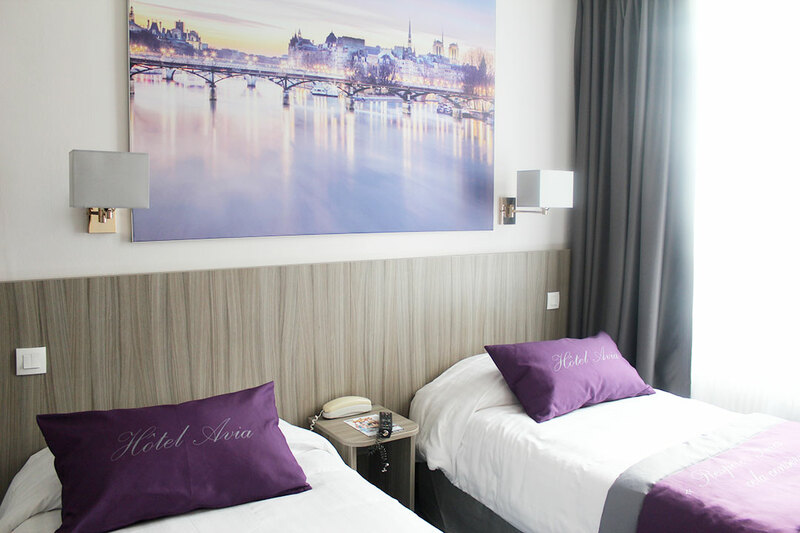 Double Bed – 2 pers. Twin Beds – 2 pers.